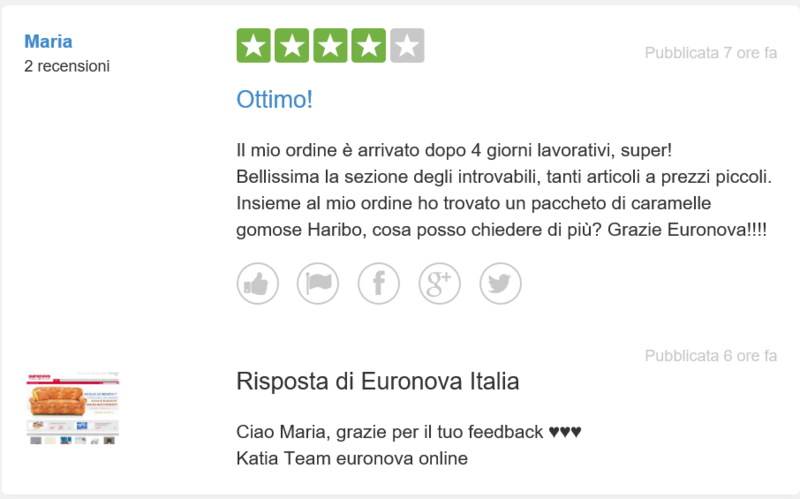 At the end of the year 2016 Haribo Italy conducted the e-TryVertising campaign in cooperation with Simple Sample network. Except the benefits of this methodology (effectiveness, efficiency, certain contact cost, satisfaction rate> 80%, etc.) have been confirmed the constant trend of spontaneous sharing of digital content in social network (UCG: User Generated Content). DURING OPENING THE E-COMMERCE BOX THERE IS NO DISPERSION. FULL CONCENTRATION ON PACKAGE CONTENT. 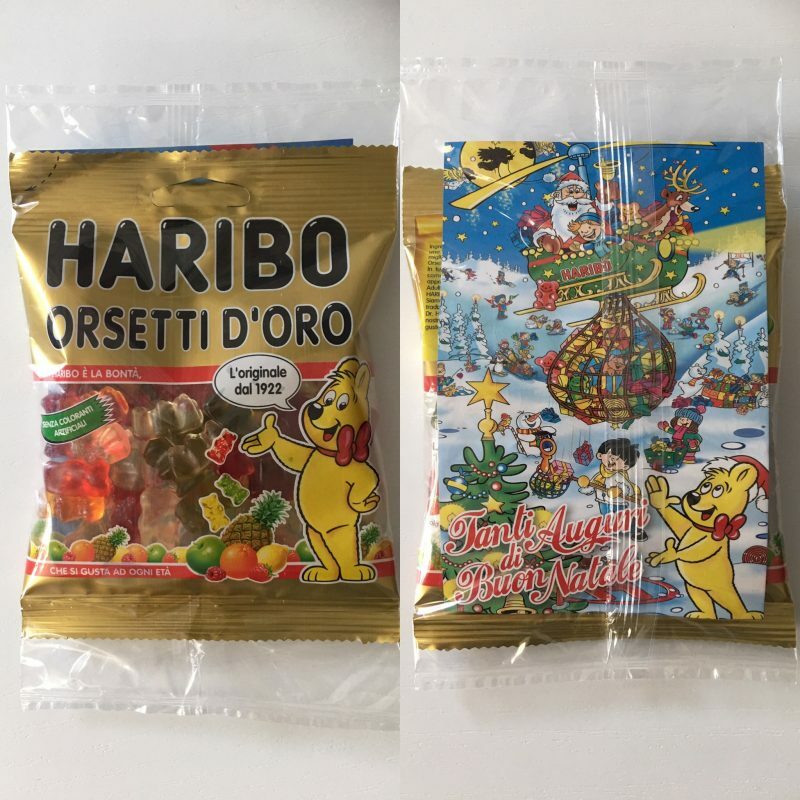 For this campaign, sample kit consisted of 100 grams of Haribo gels and leaflet, all wrapped in transparent foil. Neither on the flyer nor on the sample was there any reference, in directly and indirectly way, encouraging to the publication of the sample kit on social networking sites. In spite of this, in the Internet, in the form of thanksgiving, appears spontaneous content with the original advertising text and the brand name. 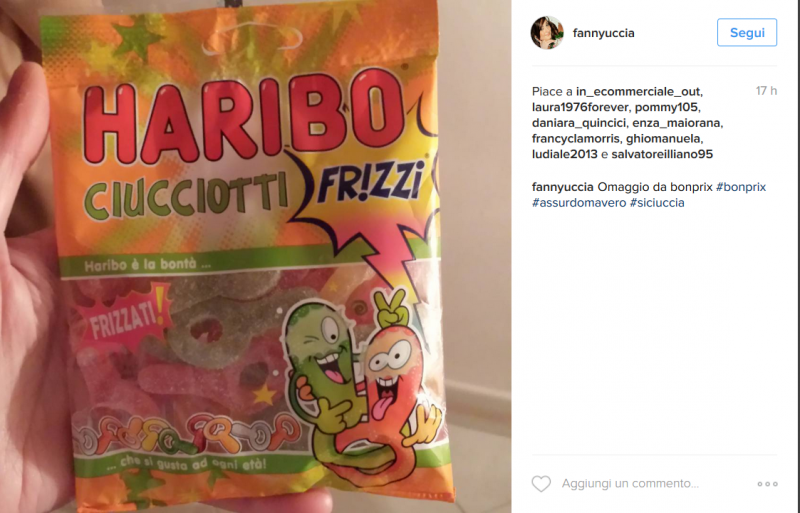 Amateur photos, specific hashtags, and content-matched to the campaigns confirm the power of the “WOW effect”. The person receiving the package is willing to share his positive experience with his social network. This phenomenon repeats for every campaign of this type. As long as the sample has a real value to the recipient he wants to share his experience with his social network. Regardless of the type of online store, up to 50% of orders are made by phone or by post, as with Bon Prix, or as with Jocando.it or TocTocShop.com by digital. 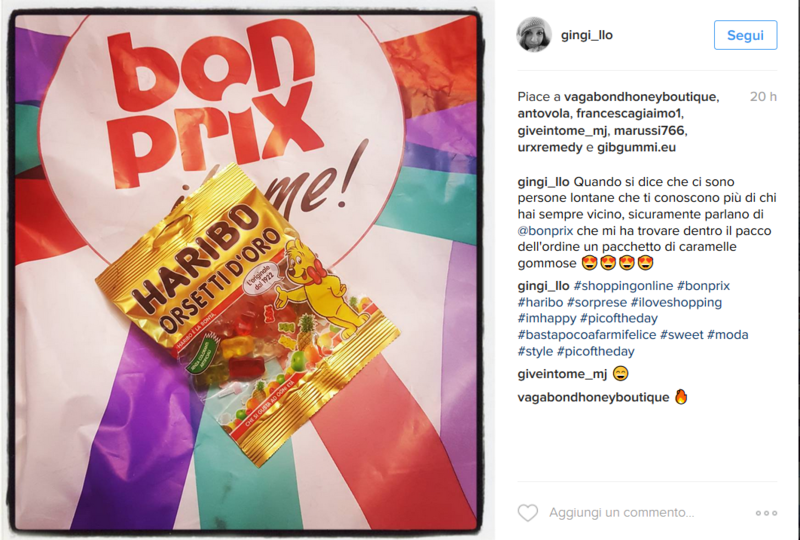 Their UGC is generated mainly via the Instagram and Facebook portal or feedback on post purchase.